Somehow I have successfully written 12 pages worth of essay for my final in my interviewing class. I don’t know how I did it, but I’m pretty good writing under pressure. My head is killing me.John starts his new job tomorrow, I am pretty excited for him. Plus I’m going to have a night all to myself which is exciting. I’m probably going to sit on my couch and watch trashy TV shows that I know he hates. Thats usually what I do when I have the house to myself. 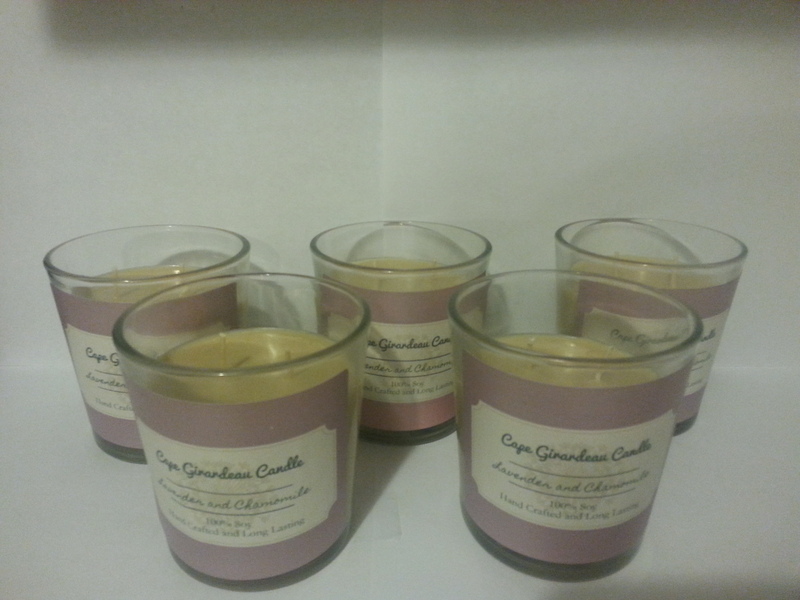 I made a batch of candles yesterday, so I’m probably going to finish those up and put them on Etsy maybe. Here is a preview of what they look like taken with my phone camera. I wish I had a better camera. They’re lavender chamomile if you can’t read the labels clearly. I think they smell amazing. My grandma is going to love them. They smell great. I just have one actual final left to do and then this semester is over with. I am beyond done. I have had a really rough semester, and it isn’t entirely my fault. Much like last year when my car was broken into and the people stole my backpack with all of my textbooks in it. a big event derailed me for about a week and I found it hard to get back into the swing of things for the semester. I plan on making a big post about that at some point, or at least writing a poem about it, but I can’t bring myself to do it yet. I still don’t know all of the answers, I’m still confused about the whole situation, and once its on the internet its there forever so I might wait until after my uncle goes to trial before I say anything. Long story short, my uncle murdered his daughter. There are a lot of mixed feelings and I can see both sides of the story, strangely enough. It is probably the weirdest situation my family has ever been in. I’ll go more into that at some other point. Writing is therapeutic but I need some more time to sort my thoughts. He goes to court in mid June. I have a pretty bad headache right behind my eyes from writing this paper, so I think I’m going to go to bed now.